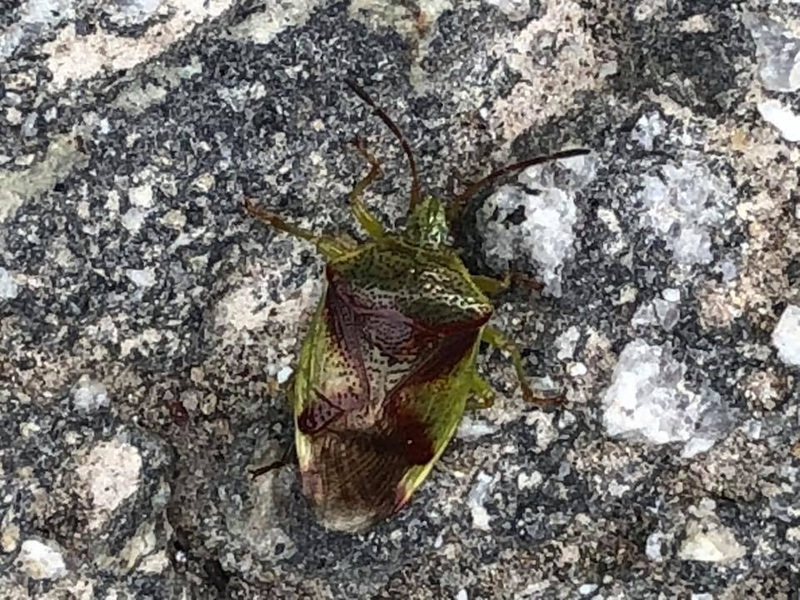 Stink Bug (family Pentatomidae): There are over 250 species of stink bugs in North America …and this is one of them. We tried to get this to genus and species, but ran out of time. So much more to learn! Photo by Heather King Minster on 8/30/18 in western, MT.